In July 2011, the Advertising Specialty Institute (ASI) launched a comprehensive study among end-users and end-buyers to compare opinions regarding ad-spec usage and preferences. One of the highlights to emerge from this report is the apparent disconnect in terms of bag/tote material preferences. The most preferred material type distributors and suppliers indicated was canvas, selected by 44.5% and 37.5%, respectively. However, they also advocated non-woven bags and totes (38.7% and 20.8%, respectively). 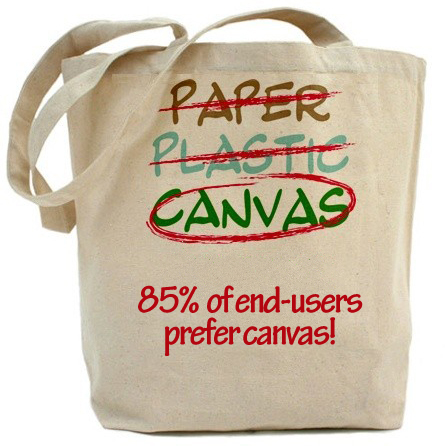 End-buyers and end-users overwhelmingly prefer canvas for bags/totes (85.1% and 76%, respectively), with very little interest in any other type of material. As evidenced by ASI’s research, canvas clearly won the popularity contest! Yet, this shouldn’t really come as such a revelation. What’s not to love? Cotton/canvas is widely perceived as a durable and natural material with tangible value. 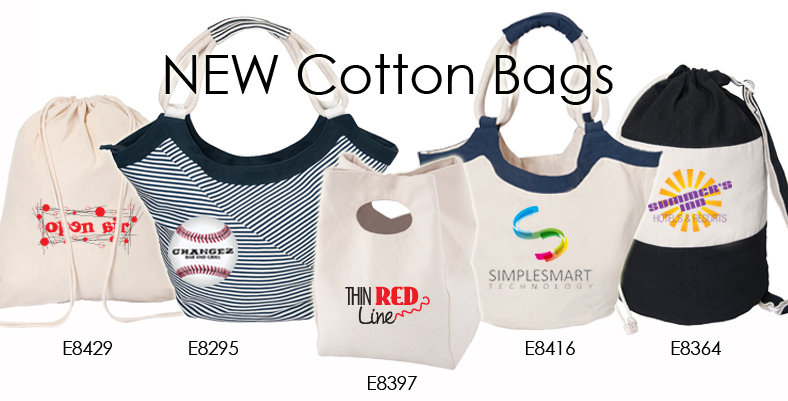 Although totes are often used as a vehicle to hold other promotional products or materials, a cotton/canvas bag is intrinsically perceived as a gift. It is most certainly a material that will resonate among your audience! Your decision to use cotton/canvas cultivates an image of value, strength and responsibility. Who wouldn’t want to be perceived in such favourable terms? Remember that you don’t have to break the bank to accommodate cotton and/or canvas into your budget. We offer an extensive selection of cotton and canvas bags in a range of colours, weights and price points. Click here for the full list! Click here to view the full ASI study – Defining the Disconnect: An Analysis of Channel Beliefs vs. Customer Needs in the Advertising Specialty Industry. This entry was posted in Tote Bags and tagged Advertising Specialty, ASI Study, Canvas, Cotton, Defining The Disconnect: An Analysis of Channel Beliefs vs. Customer Needs in the Advertising Specialty Industry, Eco-Friendly, Material Preferences, New Cotton Bags, Tote Bags by Debco. Bookmark the permalink.